Our law firm has handled hundreds of disc injury cases. The most common cervical disc injuries we see in car and truck accidents are C4-C5 and C5-C6 injuries. As close as they are in the body, they cause different symptoms and present very differently and often have very different settlement outcomes. Patients who have a C4-C5 car accident injuries often complain primarily of weakness or pain in the shoulders or deltoids because the C4 and C5 nerves provide a motor function for the muscles of the arm and shoulder. A disc injury at C4-C5 will often cause a nerve root impingement. When these nerves are compromised, the result is often muscle weakness. This weakness in the arm and shoulders does not usually cause numbness and tingling. If the client complains of numbness and tingling with a C4-C5 injury, you can bet the doctor evaluating the claim for the insurance company will pounce on this as evidence the client is not being forthright and possibly exaggerating her injuries. This is almost invariably the case even though some patients do experience numbness and tingling with this herniation. C4-C5 cases have greater value when the victim has a physically demanding job. But good lawyers should be able to position the case well for any victim who has going muscle weakness. In contrast, a C5-C6 injury from a car accident often causes numbness and tingling and radiating pain down to or near the patient’s thumb. Symptoms associated with a herniated cervical disk at C5-C6 also include generalized pain, stiffness, and a restrictive range of motion. A C5-C6 accident injury also may cause weakness in the biceps and the wrist extensor muscles. Numbness and tingling along with pain can radiate to the thumb side of the hand. The insurance company in C5-C6 disc injury will try to minimize plaintiff's injury during a range of motion test and foraminal closure test (or Spurling test). This involves various tests to try to provoke the symptoms that is causing the complaints. These tests include pushing down on the top of the head, pushing the neck off to one side or the other, rotating the neck and pushing down. Another test is to squeeze the bones together to see if that causes symptomology. 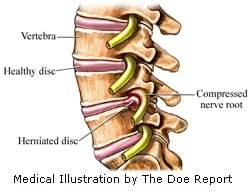 C5-C6 herniated discs are one of the most common levels for a cervical disc herniation to occur. Car accident lawyers see less C6-C7 and C7-T1 injuries, relatively speaking, although they can occur as the result of the trauma of an auto accident. As much as any motor vehicle accident injury, there is a wide swing in the settlement value of herniated disc cases. The difference in settlement value is often how hinges on how good your lawyer is and how well he or she understands how to position herniated disc injury cases. If you have suffered a lumbar or cervical herniated disc as the result of a car accident or truck accident, you need a lawyer that understands the medicine and mechanism of injury in herniated disc cases. Call our lawyers for a free no obligation consultation. Our law firm is based in Maryland, but our lawyers handle serious herniated disc injury cases throughout the country. 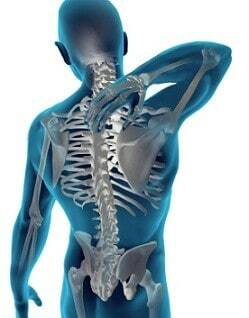 You can reach one of our herniated disc lawyers at 800-553-8082 or get a free online consultation.